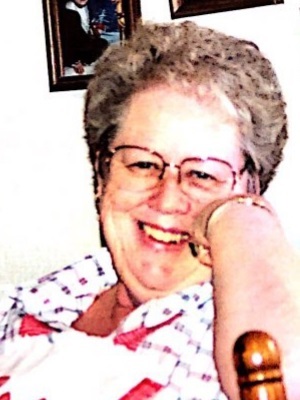 Jacqueline (Jackie) Riley, age 84, of Van Wert died at 7:42 AM Sunday, March 17, 2019 at Vancrest Healthcare Center. She was born September, 28, 1934 in Defiance, Ohio a daughter of Lavern and DNel Feeney, both of whom are deceased. On September 28, 1952 she married John L. Riley who survives in Van Wert. Surviving are two sons; Mike (Laura Kantner) Riley, and Bob (Stephanie Hartge) Riley and two daughters; Cheryl Jerome and Connie (Kelly) Kreischer, grandchildren; Niki Jerome, Nicole Kreischer Henderson, Rachell Baker, Bob Baker, Mahrya Riley, Libby (Jerome) Shartzer, Michael Kreischer, Sean Riley, Matt Kantner, Tricia (Riley) Archacki, a sister, Ann (Feeney) Schumm, 21 great grandchildren, 8 nieces and 2 nephews. She was preceded in death by her parents,DNel and Lavern Feeney, a brother, Larry Feeney, a daughter, Patricia Riley, grandchildren Ryan Riley and Justine Jerome and a great grandchild, Bently Kantner. Jackie was an Army wife who went with her husband from post to post. When they retired to Van Wert she worked for the Visiting Nurses. She was a life member of Women of the Moose Chapter 6, VFW Aux 6772 of Spencerville, life member of American Legion Post 178 Aux., St. Mary of the Assumption Catholic Church in Van Wert, a blue star Mother and a blue star Grandmother. Funeral Services will be at 11:00 AM Thursday, March 21, 2019 at Brickner Funeral Home with Father Stan Szybka officiating. Burial will follow in Woodland Cemetery. Friends may call from 2-4 PM and 6-8 PM Wednesday, March 20, 2019 and prior to services on Thursday. Preferred memorials to Altzheimer Association.